President Mauricio Macri of the Argentine Republic, will accompanied by his wife Juliana Awada, pay a state visit to The Netherlands in the last week of March 2017. HE President Mauricio Macri of Argentina,accompanied by his wife Mrs. Juliana Awada,will pay a State Visit to The Netherlands in the last week of March 2017.Exact dates follow later. Great. That will be a nice white-tie affair again in the Royal Palace Amsterdam. I hope the King will speak some words in Spanish at his table speech. Would be nice. being the professional queen she is, we will never know but i hope she takes advantage of the private moments of the state visit to discuss the matter. Has the date been announced? It’s March 3rd already. Hopefully Mrs Awada will choose a better wardrobe for this visit. I am looking forward to seeing Queen Maxima's magnificent jewels and gala dresses by Jan Taminiau. How do you know about his deplorable administration? I think deplorable was the previous president. and actually Maxima's father wasn't he working in the government in the worst time of Argentina? Military dictatorship? Yes, Jorge was minister of agriculture under general Videlia. He stepped down in. 1981, around the time Videlia handed over power to another general. When Argentina lost the Falklahds, the dictatorship ended and most of the ministers faced criminal charges. Jorge though had resigned a year earlier and claimed to know nothing of the dirty war. He escaped charges. But while never tried, it prevented him from attending his daughter's wedding or the innaugeration. He did attend the baptism of his granddaughters, as they were private events. Thank you Countsesmeout, I know that, my point is that Carlota mention about the terrible doing of President Macri, How Maxima thinks about his wrong doing.....etc.... I do not think is fear to criticize him when it was far more worst presidents and governments times in Argentina, including Maxima's father being in one of the most terrible times in Argentina. I think the guy is doing a good job not to forget they gave him the country in ruins, which is difficult to bring it back in just a year. President Macri was mentioned in the Panama Papers. Eventually, a political newcomer will be himself/herself tarred with corruption charges later. It is a usual cycle. I do not think is fear to criticize him when it was far more worst presidents and governments times in Argentina, including Maxima's father being in one of the most terrible times in Argentina. chill out. none of the governments in recent history of argentina have been good, and this current one adds to a long list of bad administrations. it just so happens that it is the first time since maxima has been a dutch royal (and in fact since at least 30 years) that an argentinian president visits the netherlands in a state visit - which is the topic that concerns us in this thread. discussing the whole history of argentinian administrations is not the topic of this thread. you got it totally right. adding to that, his administration has been rather poor thus far. sure thing though, past administrations have not been much better for the country. the cycle repeats, as you say. President Mauricio Macri of the Argentine Republic will pay a state visit to the Netherlands on Monday 27 and Tuesday 28 March 2017. He will be accompanied by his wife, Juliana Awada (see Government Information Service press release no. 270). The Netherlands and Argentina work closely together on numerous international political issues and act in concert on multilateral themes such as the promotion of the international legal order and sustainable economic development. Argentina has the world's 21st-largest economy. The Netherlands is one of the country's principal investors and is a key trading partner. Argentina is a G20 member and will chair the forum in 2018. Its recently reaffirmed international orientation is creating opportunities for mutual trade and investment, especially in water management, agriculture and logistics. Partnership agreements between Dutch and Argentinian companies and institutions will be signed during President Macri's visit. Sport and social dialogue will also be themes of the president's time in the Netherlands. Argentinian foreign minister Susana Malcorra, other members of the Argentinian government and representatives of the country's business communities will accompany President Macri. 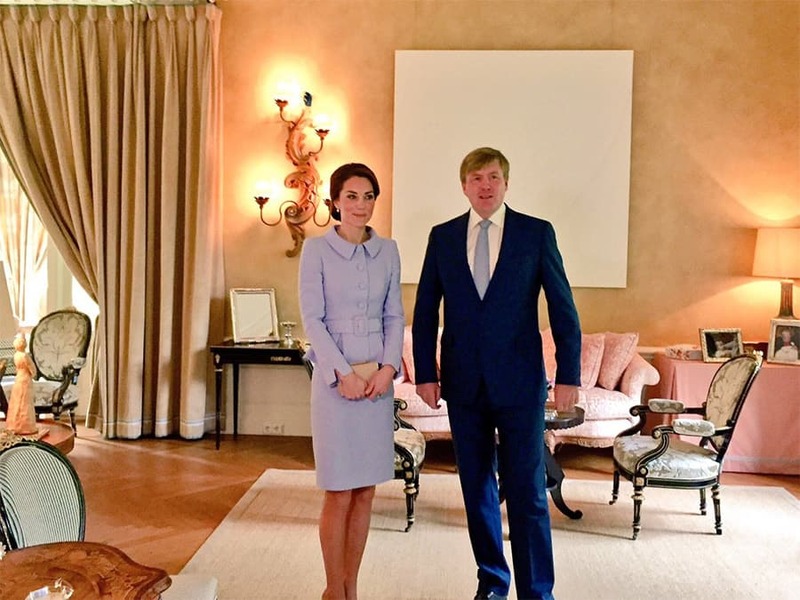 Members of the Dutch government will take part in various parts of the state visit. King Willem-Alexander and Queen Máxima will officially welcome President Macri and his wife on Dam Square in Amsterdam. After the inspection of the guard of honour, a reception will take place in the Royal Palace in Amsterdam with Dutch authorities and Argentinian dignitaries taking part in the visit. After the reception President Macri will lay a wreath at the National Monument on Dam Square. He will then visit the Anne Frank House, which works with Argentina's Centro Ana Frank in Buenos Aires to help educate young people about combating discrimination and violence. On Monday afternoon President Macri and Ms Awada will join King Willem-Alexander and Queen Máxima in attending part of the Business Forum, which will be held that day in the Beurs van Berlage in Amsterdam. Dutch and Argentinian Business Forum participants from the public and private sectors will be discussing ways of promoting economic cooperation. There will for example be various panel discussions on agriculture, water management, logistics and energy, as well as a meeting focusing on social dialogue, good governance and the Dutch 'polder model'. President Macri, Ms Awada and Their Majesties will take part in a roundtable meeting of CEOs. Late Monday afternoon an event in the Beurs van Berlage will be devoted to the positive social effects of sport. The Dutch national hockey and football associations will show how their two sports can contribute to teamwork, knowledge exchange and social development. At a clinic for young Argentinian and Dutch hockey players, trainers will give demonstrations and the Johan Cruyff Foundation and One Million Hockey Legs will make a presentation of their activities for President Macri. The visit's first day will end with a state banquet in the Royal Palace in Amsterdam. The second day of the state visit will begin with calls by President Macri on the International Criminal Court (ICC) and the Organisation for the Prohibition of Chemical Weapons (OPCW) in The Hague. President Macri will then have talks with the Presidents of the Senate and House of Representatives of the States General. Following those talks, Prime Minister Mark Rutte will meet with the president. Meanwhile that morning, Queen Máxima and Ms Awada will be visiting the Mauritshuis museum in The Hague. They will be given a guided tour of Dutch masters of the 17th-century Golden Age, including works by Vermeer, Rembrandt and Paulus Potter. King Willem-Alexander, Queen Máxima and Ms Awada will then join Prime Minister Rutte and President Macri for lunch in the Trêves Hall at the Binnenhof, with social dialogue as the theme of the lunch. Tuesday afternoon President Macri and his wife and Queen Máxima will visit the Port of Rotterdam. Rotterdam Mayor Ahmed Aboutaleb will welcome them to Berghaven port in Rotterdam's Hook of Holland district. During a boat trip through the Port of Rotterdam, experts and representatives of the business community will describe the various terminals and explain the new integrated logistics solutions provided by the port's Maasvlakte terminals. The state visit will end with a ballet performance presented by President Macri at Theatre Diligentia in The Hague. "Macri arrived in Netherland a received a gesture out of protocol:The Kings take him to their residence. 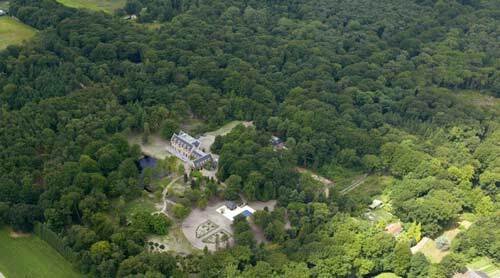 The President will spend the weekend with his wife in the Villa Eikenhorst, where the Kings live. Its official agenda begins on Monday." That is very unusual, especially considering it was not part of the official program (the article says the president had a reservation at a local hotel for the weekend). I wonder if Máxima and Willem-Alexander discussed that unexpected invitation with the Dutch government. I think "spending the weekend" must not be interpreted as "sleeping at". The private villa of the King, bought when he was a Prince, is not that big enough to house the president, his company, staff, security et al. My understanding is that only the president and the first lady will stay at the Villla while his staff and company will stay at the hotel where the Argentinians already had reservations. On Monday, the president and his wife will move to the Royal Palace of Amsterdam where they will stay as official guests. Again, it is highly unusual, but the Clarín article says Willem-Alexander and Máxima are personal friends of president Macri and that they often meet privately in Patagonia. 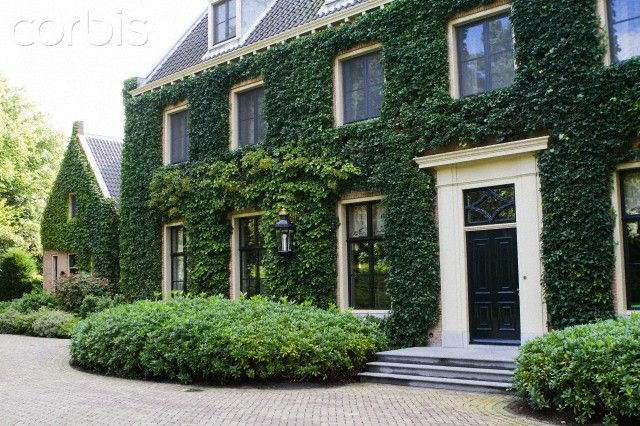 Out of curiosity where are Foreign Heads of state housed during State Visits in the Netherlands? "President Mauricio Macri Argentina and his wife Juliana Awada are Saturday arrived at Schiphol. They were there on behalf of King Willem-Alexander welcomed by all Dorhout ceremonies. Macri Monday begins a state visit to the Netherlands, the first by an Argentine president."